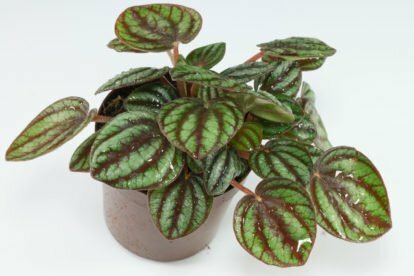 The Coin Leaf Peperomia is suitable for bright, part sunny or light shaded places. Morning, evening and winter sun is welcome. If the pot is placed at least 50 centimetres behind the window also summer sun. Regular mixes for container plants, vegetables, herbs or succulents can be used. 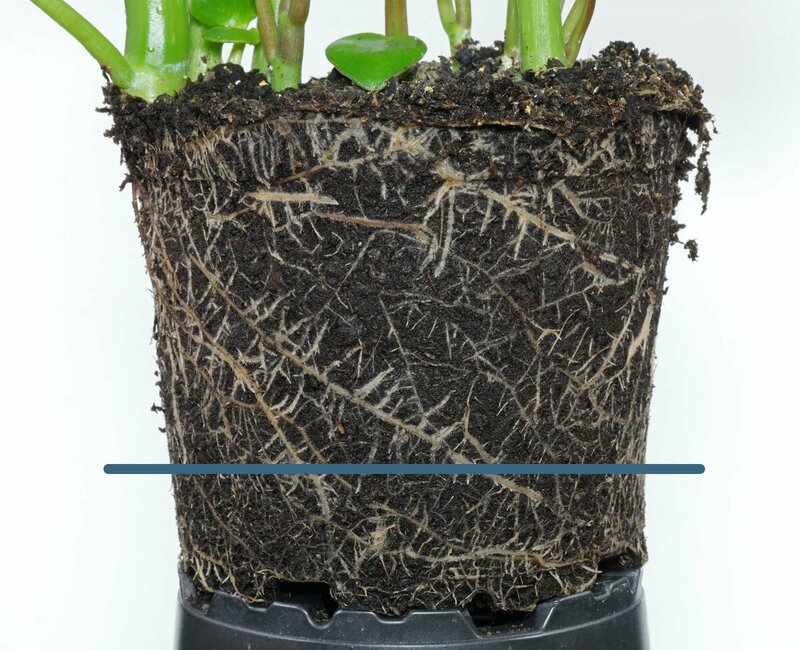 Let the soil dry between the waterings to about 80 % or 90 % of the pots height. Avoid overwatering. 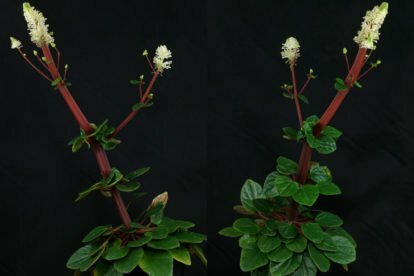 Drying out for a short time will be tolerated but Peperomia polybotrya is a tropical succulent and should not be treated like plants growing in deserts or steppes. A standard liquid fertilizer can be given monthly or spikes or granules every 2nd to 3rd month from spring to fall. New bought or recently repotted plants don’t need to be fed for the first year. 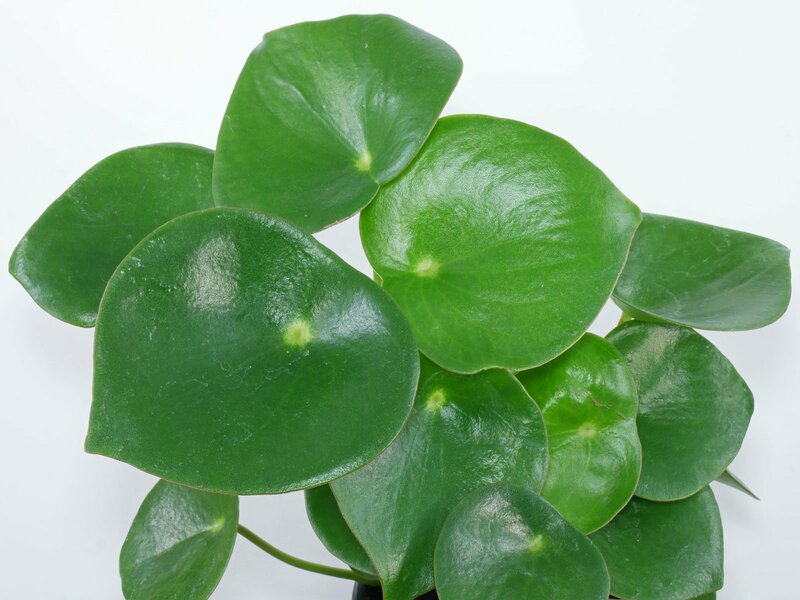 Based on the shape of its leaves the Coin Leaf Peperomia is also called Raindrop Peperomia. 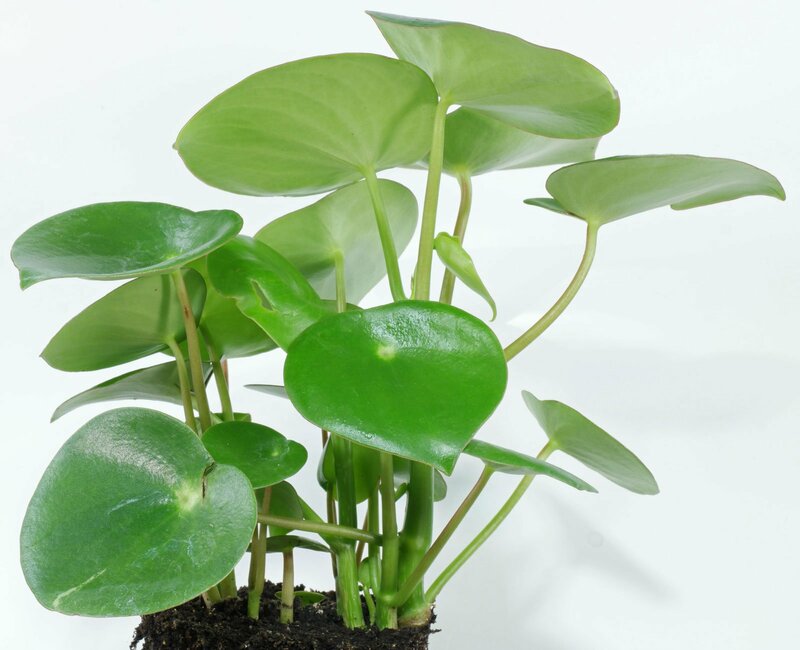 Peperomia polybotrya likes it warm the year round with a minimum temperature of 15 °C (59 °F). 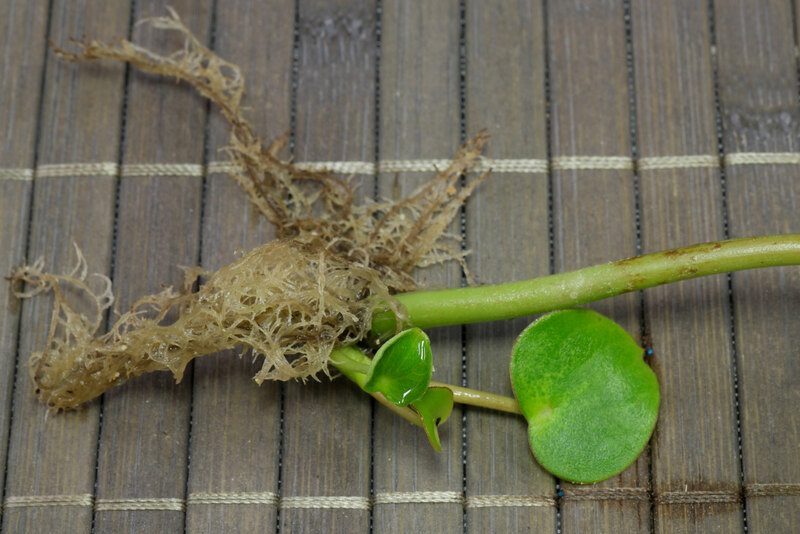 Stem and leaf cuttings root in between 4 to 8 weeks at 22 to 30 °C (72 to 86 °F). Cover the pot with a freezer bag or place it in an indoor green house and air daily. 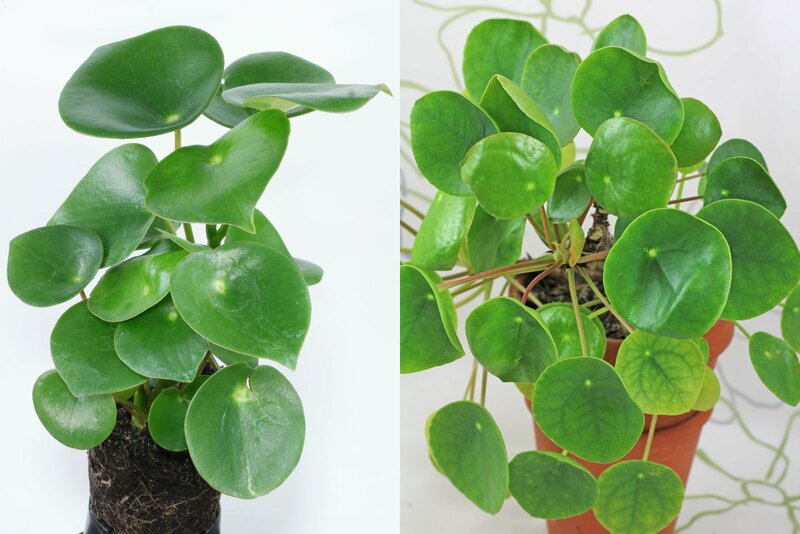 Peperomia polybotrya looks similar to the Chinese Money Plant (Pilea peperomioides) (right). 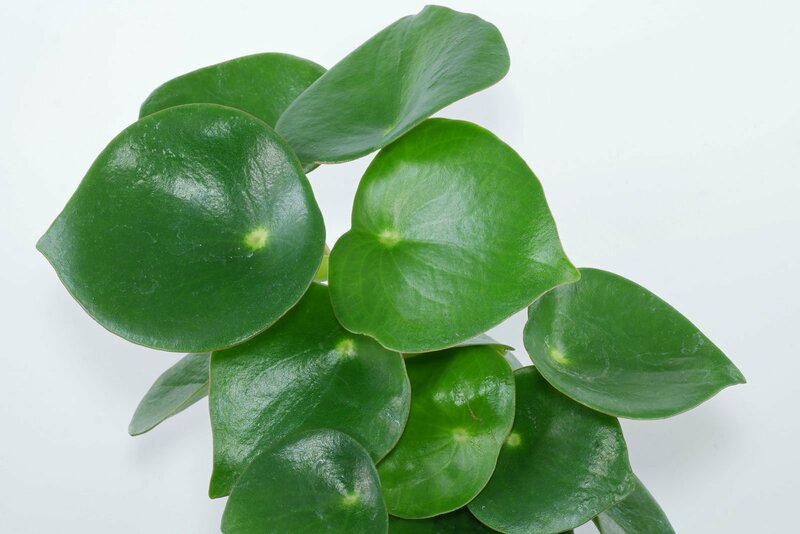 But the leaves of the Coin Leaf Peperomia are pointed and slightly thicker. The two species are not related.